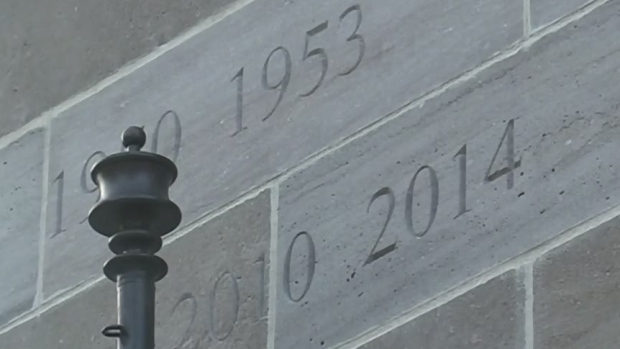 The cenotaph in downtown Regina has been vandalized. The Regina Legion said someone noticed the Air Force plaque was missing from the cenotaph on Thursday morning. The eight by 11 inch bronze plaque had insignia on it to represent the Air Force. The legion will have to order a new plaque and pay for those expenses. It said whoever committed the crime would have needed a crow bar to get the plaque off. The legion said it's extremely frustrating and it’s disrespectful that someone would do this.